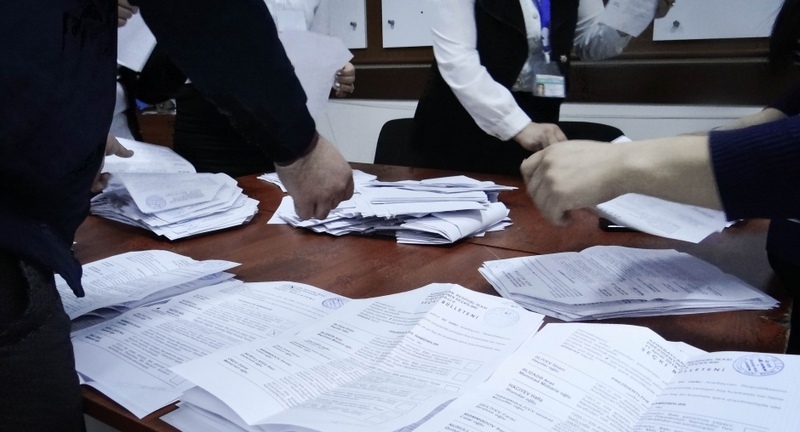 AKIPRESS.COM - The early presidential election in Azerbaijan took place within a restrictive political environment and under laws that curtail fundamental rights and freedoms, which are prerequisites for genuine democratic elections, OSCE said in a statement on April 12. Against this backdrop and in the absence of pluralism, including in the media, the election lacked genuine competition. Other candidates refrained from directly challenging or criticizing the incumbent, and distinction was not made between his campaign and his official activities, the international observers concluded in a preliminary statement today. At the same time, the authorities were co-operative and international observers were able to operate freely in the pre-election period, and the election administration was well resourced and prepared the election efficiently. The election administration at all levels appeared highly organized and well-resourced but, due to the lack of political differentiation between the three groups in parliament that nominate commissioners, there is no guarantee the administration is impartial, the observers said. The Central Election Commission held regular public sessions at which no dissenting or argumentative opinions were stated, and the majority of members did not engage in any discussions. The CEC denied registration to two nominees after ruling a considerable number of the supporting signatures they submitted as duplicate or invalid, leaving them short of the total required. The CEC working group responsible for the verification of signatures was unable to clearly demonstrate the process was technically adequate and accountable. There is no legal provision for nominees to address errors or shortcomings identified by the CEC in relation to the signatures. The CEC reported registering a total of 58,175 domestic observers, including 4,041 accredited by NGOs, while a number of the international observers’ interlocutors maintained that obstacles introduced by the government and the election administration limit the ability of civil-society organizations to operate. One such organization remains unregistered since 2008, and its volunteers had to accredit themselves individually, some of them facing difficulties. This was the first presidential election since constitutional amendments in 2016 further increasing the powers of the president. A number of constitutionally guaranteed fundamental rights and freedoms related to elections are subject in practice to legal and administrative restrictions. The Election Code is detailed and well-structured. Although a few previous ODIHR recommendations in this area have been taken into account, none of the priority recommendations by ODIHR and Venice Commission were addressed.